Upon the adoption of the state constitution and the admission of Wisconsin as a state in 1848, the state was divided into five judicial circuits, a judge to be elected for each circuit. These judges were to sit together en banc as a supreme court, one of their number to be chosen by them as the chief justice. This was practically a continuation of the territorial system. This system continued until June 1, 1853, at which time a separate supreme court was established. From the first Sheboygan county formed a part of the fourth circuit and although many changes in the circuits have been made, it is still in that circuit, which now contains only two of the original six counties, namely, Sheboygan and Manitowoc. In the selection for the first chief justice of the new state, Alexander W. Stow was chosen. The "bench and bar" of Sheboygan county cannot be said to have had any existence before the year 1848. The county was created in territorial times by an act of the territorial legislature, known as No. 28 of the laws of 1836, out of a portion of the territory of Brown county but was so thinly settled that it was not considered advisable to give the new county a complete organization for all purposes and the act provided it should remain attached to the parent county for judicial purposes. On the 2nd of March, 1848, the territorial legislature passed an act providing that from and after the second Tuesday in April following, the county should be organized for judicial purposes, and on that date the legal history of the county began. The first judge was Alexander W. Stow, who was also the chief justice of the state supreme court. The subsequent judges were Timothy O. Howe, William R. Gorsline, David Taylor, Campbell McLean, N. S. Gilson and Michael Kirwan. Justice Stow served from 1848 to 1851. He was one of those peculiar characters, who were frequently found in the new countries of the west. He was a bachelor, highly educated, well trained in the law, wealthy for those days, and lived in Fond du Lac county, on a large farm he had improved and managed. He was defeated for reelection and retired to the farm, where he remained for the balance of his years. Judge Howe became very prominent in the politics of the state and nation, becoming United States senator and serving as such from 1861 to 1879, and later was a member of President Garfield's cabinet as postmaster general. When Judge Howe opened his first term of court at the Rapids, it happened there was an old pioneer Methodist circuit rider named David Lewis present. It occurred to the judge that he would introduce the old Vermont custom of opening the court with prayer, and Mr. Lewis was invited to officiate as chaplain. He did so and delivered an invocation which for length and loudness was long remembered by the early settlers. He was especially emphatic on the necessity of imparting wisdom and rendering assistance to the "helpless and ignorant young judge." The record does not indicate that the ceremony was ever repeated, and while it may be true that the judges of the fourth circuit have been at times in great need of divine assistance, it does not appear that it was thus publicly invoked at any other time. Judge Howe did not serve out his term but resigned early in 1853 and resumed practice until elected United States senator in 1861. He was succeeded by Judge Gorsline, who was first appointed to fill the vacancy and then elected for a full term. He served out his term and went west. He was appointed to a United States district judgeship and served on the federal bench in Colorado for many years. He was also a judge of the territorial supreme court during the years 1866 to 1869, inclusive, and his opinions are to be found in Vol. I of Colorado Reports. After that time he practiced law in Denver until his death. Judge Taylor, successor of Judge Gorsline, was a very eminent and scholarly lawyer, who held the office two full terms. He originally settled in Sheboygan county but had removed to Fond du Lac county and was elected from there. He later was promoted by election to the supreme court and died while a justice of that court. Judge Taylor served in the state senate for a term prior to his election to the bench and was instrumental in securing the adoption of the New York code of practice in this state. He was also the author and compiler of the first annotated statutes of Wisconsin. His successor, Campbell McLean, of Fond du Lac county, served on the bench for two terms and was defeated for reelection. While not especially remarkable he was honest and careful and was above the average of nisi prius judges in ability. His decisions were very generally sustained on appeal to the supreme court. He was overwhelmingly defeated and on the expiration of his term left the state, returning to Plattsburg, New York. He there resumed practice and died some years ago. Hon. N. S. Gilson, who followed him, was also from Fond du Lac. He served two full terms on the bench. During his incumbency there were many cases involving new and interesting questions of great public importance, and Judge Gilson soon manifested his ability as a judge by the manner in which he dealt with them. His name was frequently mentioned in connection with a position on the supreme bench, but the fact that Judge Taylor was from the same city militated against his being chosen. On his retirement from the bench he was appointed to the newly created office of state tax commissioner and in that place won additional honor for his fairness and honesty of purpose and his judicial manner of dealing with the intricate questions arising out of the administration of the new and complex tax laws enacted in this state. He voluntarily resigned from that position in 1910, and is now residing at Fond du Lac. on. Michael Kirwan in 1899 followed Judge Gilson and is still the presiding judge of the fourth circuit. He is the first judge of that court to be selected from the Manitowoc bar. It is perhaps too early to write all his history as a judge, but not too early to comment to some extent upon that which has been. The fact that his repeated elections have been practically unanimous, at least without opposition, are strong indications of his success as a judge. He has a firm grasp on the underlying principles of the law and his strong sense of what is right, good common sense and integrity of purpose is unquestioned. He is still in the prime of life and apparently has many years of useful work in prospect. Perhaps no body of men, not excepting the clergy, may exercise a greater influence for good in a community than those who follow the profession of the law, and it must be admitted that to no other body, not even to the so-called criminal classes, are committed greater possibilities for an influence for evil. What that influence shall be depends upon the character of the men who constitute the bar of the community - not merely on their ability or learning but on their character. If the standard of morality among the members of the bar is high, tlie whole community learns to look at questions of right and wrong from a higher plane. If the bar consciously or unconsciously adopts a low standard of morality, it almost inevitably contaminates the conscience of the community. And this is true not only in the practice of the profession itself, not only because of the influence of members of the bar as men rather than lawyers, but in the effect upon other professions and occupations to which the bar acts as a feeder. The members of the legislature are recruited largely from the legal profession. How can legislation, designed solely for the welfare of the public, be expected from one whose honor as a lawyer has not been above suspicion? And since lawyers, outside of the legislature, have a great influence in shaping the law, how can the people expect that influence to be exerted in their behalf when the bar itself is unworthy? Still more does the character of the bar affect the judiciary, which is supplied from its ranks. It is not always, perhaps not generally, the case that members of the bench are chosen from those lawyers who have attained the highest rank in their profession. If a judge be industrious and honest, but not of great ability, or if he be able and honest, though lacking industry, the rights of the litigants are not Kkely to suffer seriously at his hands. But there have been instances where judicial office was bestowed solely as a reward for political service; and while it is sometimes realized that one who has been a strenuous and not too scrupulous politician up to the moment of his elevation to the bench, has thereafter forgotten that there was such a trade as politics and has administered justice without fear or favor, the experiment is a dangerous one. No one need be surprised if in such a case the old maxim holds true: "He who buys the office of judge must of necessity sell justice." Let our judges be men who are subject to other influences than those of the facts submitted to them and the law applicable to those facts, let them lack that independence which is an imperative requisite to one who holds the scale of justice, let a well founded suspicion arise that their decisions are dictated by something outside of their own minds and consciences, and the confidence of the people in the maintenance of their rights through the agency of the courts is destroyed. It has been the good fortune of the city and county of Sheboygan that the members of the bar here have been, for the most part, men of high character as well as of ability and learning, so that its bar has won a high and honorable reputation throughout the rest of the state and because of the high character of the bar it has followed that those of its members who have been elevated to the bench have enjoyed the confidence and respect of the public and have been honored not only in their own locality but in many cases throughout the state and in other states. Yet the preparation of the history of the bar, so far at least as that part of it which lies back of one's own generation is concerned, is attended with considerable difficulty. Probably few men who in their time play important parts in the community or even in the state or nation, leave so transient a reputation as lawyers do. A writer on this subject who took for his text the Lawyers of Fifty Years Ago, said: "In thinking over the names of these distinguished men of whom I have been speaking, the thought has come to me how evanescent and limited is the lawyer's reputation, both in time and space. I doubt very much if a lawyer, whatever his standing, is much known to the profession outside of his own state." Those who attain high rank in the profession must realize that with rare exceptions their names are "writ in water." One may turn over the leaves of old reports and find repeated again and again as counsel in different cases the name of some lawyer who must have been in his time a power in the courts, only to wonder if he has ever seen that name outside of the covers of the dusty reports in which it appears. Hamilton, in the conventions, in the Federalist and in the treasury, and Webster, in the senate and in public orations, have perpetuated and increased the fame of lawyers Hamilton and Webster; but were it not for their services outside the strict limits of their profession one might come upon their names at this date with much the same lack of recognition as that with which one finds in a reported case the names of some counsel, great perhaps in his own time, but long since forgotten. And there is another difficulty in preparing such a history as this; brief and therefore necessarily limited to a few names, and that is that some may be omitted who are quite as worthy of mention as those whose names appear. It is not often that any one man stands as a lawyer head and shoulders above the other members of the profession; and the same may be said of any half dozen men. In many cases the most careful measurement would fail to disclose a difference of more than a fraction of an inch, if any. Lives of eminent men who have at some period been practicing lawyers have contained the assertion that while they were engaged in the practice of their profession they were the "leaders of the bar;" but there is almost always room for doubt as to whether the title is now a brevet bestowed by the biographer alone. Therefore the mention in this article of certain lawyers must not be taken as any disparagement of those who are not mentioned, and, finally, it is to be observed that this article, so far as the bar is concerned, will treat not only of those members who are past and gone but will make mention of some of those now in the flesh. As to the first lawyers to practice at this bar and their personalities, but little, if any, information is left to the historian to relate. No one has been found who knew them and all that has been learned concerning the pioneer lawyers of the Sheboygan county bar is only "hearsay" and must be taken for what that kind of evidence is worth. One Dr. Coela, who settled at Sheboygan Falls in 1844, was credited by the pioneers as a lawyer but whether he was entitled to the distinction or not is hard to say. 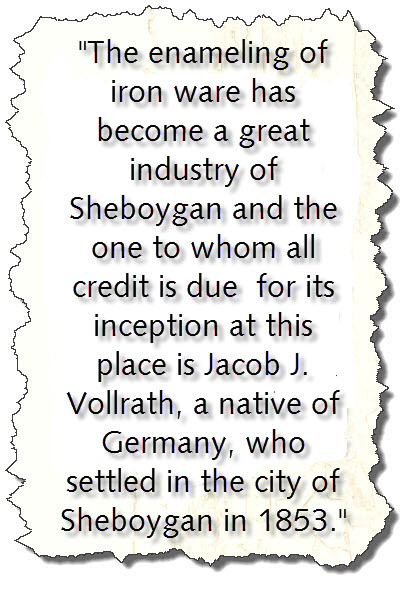 If he was, then Coela was the pioneer of the legal profession of Sheboygan county. Cyrus P. Hiller was clerk of the circuit court in 1847 and was early in partnership with David Taylor. Harrison C. Hobart became a resident of Sheboygan in the early '40s and was one of the first members of this bar. He represented the district in the senate in 1848 and was a member and speaker of the assembly in 1849. He represented Calumet county in the assembly in 1859 and was a member of that body from Milwaukee later on. Hobart went into the army as captain of Company K, Fourth Regiment Infantry, and was appointed lieutenant colonel of the Twenty-first Wisconsin in July, 1862. He received his commission as colonel of the same regiment in 1863 and was brevetted brigadier general in 1865. General Hobart was taken prisoner by the Confederates in September, 1863, and was one of the fortunate ones to escape from Andersonville by digging a tunnel under and out of the stockade. One of the ablest lawyers at this bar was J. R. Sharpstein, who was district attorney in 1848. He later removed to Milwaukee and became the candidate for governor on the democratic ticket. E. Fox Cook was a good lawyer and maintained a lucrative practice in the '40S. The records show he was district attorney in 1849 and state senator in 1857-8. Mr. Cook later moved to La Crosse and from there to Milwaukee, where he died. James McMullen Shafter was one of the early practitioners at this bar and a leader here in his profession. He was speaker of the Wisconsin assembly in 1852. Some years later he went to California and was elected lieutenant governor of that state. George S. Graves was practicing at the Falls as early as 1852. He was district attorney in 1855-6. Among other early lawyers were P. H. O'Rourke, who served the district in the state senate; Albert Phalen, W. R. Woodbury and Edward Elwell. The latter was district attorney in 1853-4. Crosby W. Ellis was district attorney in 1857-8; E. B. Treat in 1863-4; J. H. Jones, 1865. Conrad Krez was one of the ablest and most widely known German citizens of Wisconsin. When a young man he entered the law department of the University of Heidelberg and in 1848 escaped to France, as a political refugee. He came to the United States in 1850 and to Sheboygan in 1854, where he immediately began the practice of law. He was district attorney eight years, and in 1885 was appointed collector of the port at Milwaukee by Grover Cleveland. After retiring from office he resumed his practice, forming a partnership with his son, Paul T. Krez, the present county judge. John E. Thomas began the practice of law at Milwaukee in 1858, and in 1865 opened an office in Sheboygan Falls. In connection with his practice he engaged in banking and journalism, buying the Sheboygan County News in 1878. William Henry Seaman is a son of William and Arlisle Seaman, early settlers of Sheboygan county. He came to Sheboygan with his parents in the winter of 1845-6, and was educated in the public schools. After serving his country he returned from the Civil war and resumed the study of law, which he had undertaken while a typo in the office of the Evergreen City Times. His early preceptor was C. W. Ellis, a prominent lawyer of that day, with whom he studied several years. Later he placed himself under the tutelage of J. A. Bentley, one of Sheboygan's eminent lawyers. He was admitted to the bar in 1868. Seaman then entered into partnership with Mr. Bentley, which connection continued until the latter was appointed commissioner of pensions under President Grant. A partnership was then formed with Francis Williams, which was dissolved in 1893, when Mr. Seaman was appointed United States district judge for the eastern district of Wisconsin. He is now one of the justices of the United States court of appeals. John H. Williams was one of the early attorneys at law to locate at Sheboygan. He was a native of New York, his birth occurring in 1836. At an early age he read law with Hon. John H. Olmstead, of Coudersport, Pennsylvania, and was admitted to the bar in 1857. That same year he came to Sheboygan in company with C. W. Ellis and commenced the practice of his profession. This partnership lasted until 1862, when Mr. Ellis left the city. Mr. Williams held the office of district attorney for several years. In 1870 he was state senator and in 1875 his death occurred. Charles A. Dean was born in Sheboygan Falls in 1851. He taught school for some years, studied law with George W. Foster, and was admitted to the bar in Washington county in 1879. He practiced law at Port Washington one year and came to Sheboygan in 1881, entering into a partnership with Dennis T. Phalen, who had been admitted to the bar at Sheboygan city. Edwin Clark was a comparatively early attorney, practicing at the Sheboygan county bar after locating in Sheboygan Falls in 1872. He was a native of New York and was admitted to the bar at Binghampton in that state in 1859. M. D. L. Fuller was bom in the state of New York and came to Wisconsin in 1854 with his parents. He graduated from Milton College in 1871, was principal of the Sheboygan Falls high school during that year, and superintendent of schools for Sheboygan county in i874-5; was a member of the general assembly in 1881; and opened a law office in Plymouth in 1885, becoming one of the prominent lawyers of the county. Major C. Mead was born in the town of Lyndon in 1858. His parents came to Sheboygan county in 1848 from the state of New York. Mr. Mead was raised on a farm and attended the public schools. He taught in the district schools and later was principal of the ward schools at Sheboygan, meantime reading law. In the fall of 1880 he entered the law department of the Wisconsin State University and graduated in 1881. Mr. Mead then opened an office at Plymouth and became successful in his chosen profession. There were other lawyers of more or less distinction who practiced at the Sheboygan county bar whose names can only be given. Bille Williams was for many years county judge; Eugene Carey, H. H. Conklin, William Taylor, George T. Sumner. The members of the Sheboygan county bar at the present time are the following: Sheboygan, Otto A. Bassuener, Felix Benfey, Theodore Benfey, E. R. Bowler, T. M. Bowler, Joseph W. Collins, W. B. Collins, F. H. Denison, Henry A. Detling, John M. Detling, Simon Gillen, George Heller, Jr., Paul T. Krez, A. C. Prescott, D. T. Phalen, Otto J. Trilling, E. R. Veech, Charles Voigt, Ed. Voigt, F. Vollrath, Francis Williams, Oscar Wolters, Allen D. Young, Miss E. A. Zufelt; Sheboygan Falls, J. H. James; Plymouth, M. C. Mead, H. J. Rooney. The municipal court of Sheboygan was created by law in 1887 and the tenure of its judges is four years. The jurisdiction of the municipal court is over "all actions of law, where the amount claimed shall not exceed the sum of $600 and to try and determine all criminal actions, when the crime was committed in said city ; and that are not punishable by commitment to the state prison and to arrest and examine and to hold to bail all parties charged with other offense against the laws of the state as provided by law. And the said court and judge thereof shall also have exclusive jurisdiction of all offenses and actions under the charter of said city, and the ordinances, rules and by-laws of said city, and exclusive jurisdiction of all criminal trials and examinations for offenses committed within said city, subject to appeal to the circuit court of said county, and the statute of removal of causes, either civil or criminal, applying to justices of the peace, shall not apply to said judge of his court and there. shall be no removal therefrom. He also has jurisdiction co-extensive with justices of the peace and powers to sentence and commit the same as a circuit judge or justice of the peace." The first incumbent of the office of municipal judge was August Pott, who was elected in 1887 and served until 1895. His successor was Otto J. Trilling. Judge Trilling remained on the bench until 1903, when he gave place to the present incumbent, Judge John M. Giblin.